SINGAPORE - My first meal at the Shangri-La Hotel, Singapore was at Japanese restaurant Nadaman in 1984. At the time, it was on the 24th floor of the hotel but it later moved to the ground floor, taking over the space vacated after the closure of French fine-dining restaurant La Tour. Now, more than 30 years later, Nadaman itself is gone too and a new Japanese restaurant will open on May 31. Called Nami, it will be on level 24 - back where Nadaman started. I was hosted by the hotel for lunch this week for the first meal served in the new restaurant for just one table. Talking the lift up to the restaurant is a bit of deva ju for me, but it is certainly not a walk back in time. 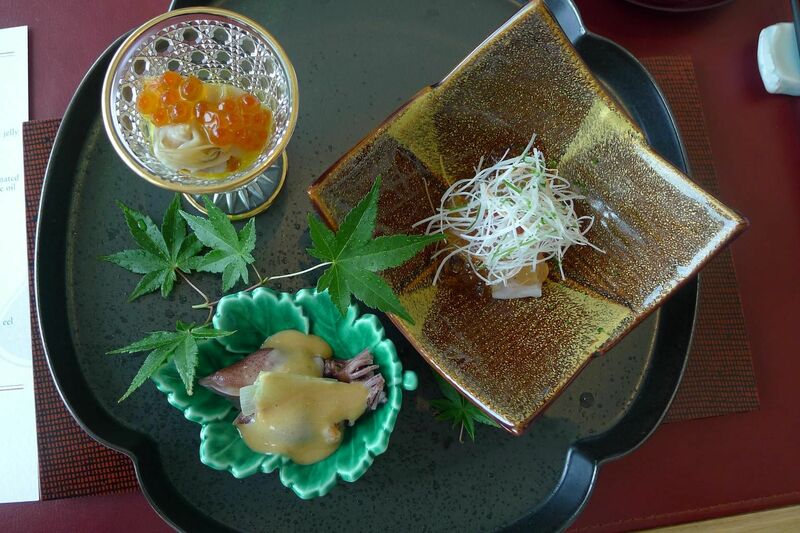 Unlike the old Nadaman with its tatami rooms, Nami has a cheerful contemporary vibe. In the day, sunlight streams in through a glass wall that allows diners a view of the greenery surrounding the hotel. A sushi counter, with a shiny silver wall installation behind it, is the focus of one side of the restaurant. There are also tables for diners who do not wish to face the chefs. You may also enjoy Japanese-style tapas on the outdoor terrace. Head chef Akiba Shigeo, who is from Yokohama, takes special pride in his dashi stock, made with kombu from Hokkaido and katsuobushi from Kyushu. He had worked under Iron Chef Koumei Nakamura for five years. 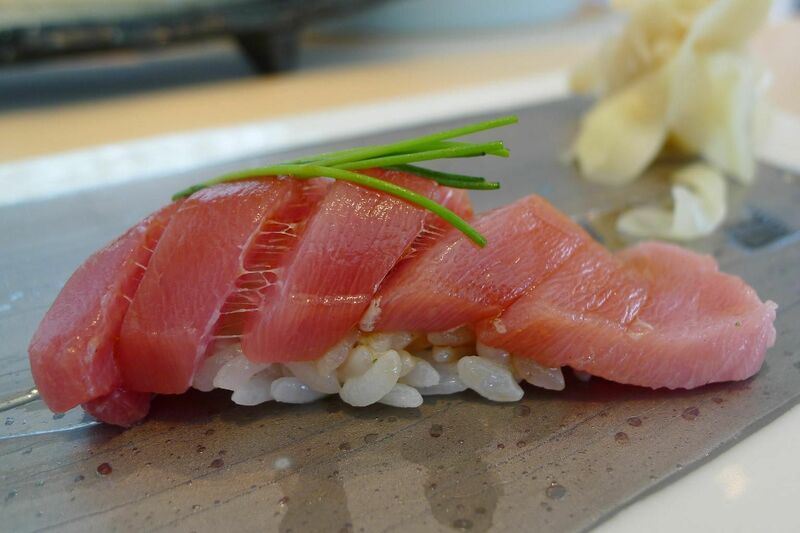 There is also sushi chef Hiroyuki Ono, who worked at Sushi Kanesaka in Tokyo. 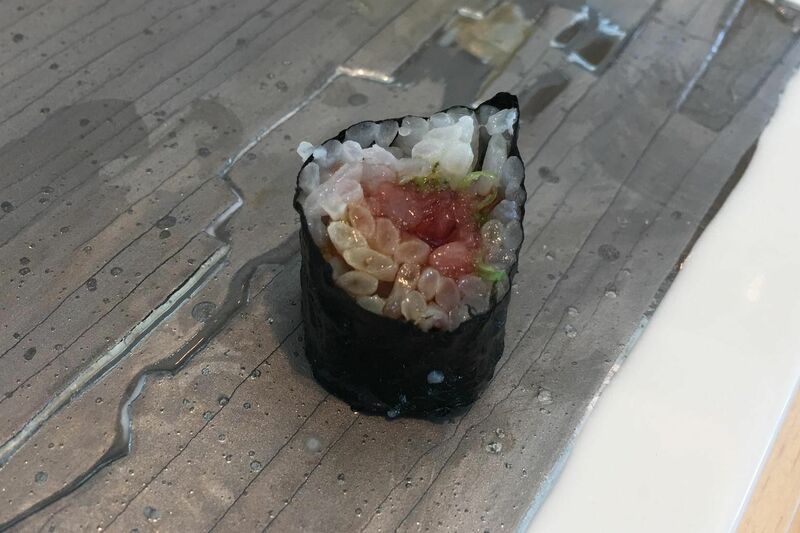 Nami's menu ranges from affordable lunch sets that start from about $40 to a la carte orders to omakase kaiseki or sushi meals priced mostly under $200. My $185 omakase lunch comprises three amuse-bouche, a sashimi platter, simmered Saga beef, a selection of sushi, soup and dessert. These prettily plated appetisers provide a clear indication of the refined dishes you can expect at Nami. 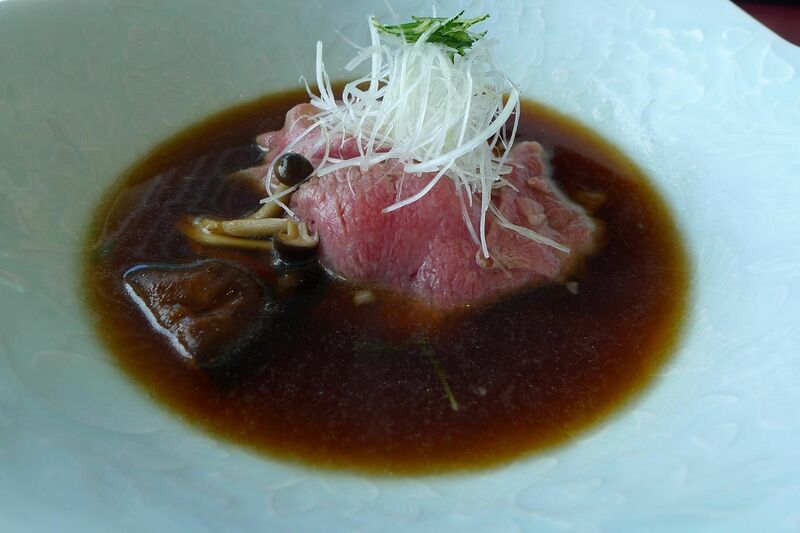 Start with the snapper, which has its delicate flavour just lightly enhanced by the dashi. The clams pack a stronger punch with the salty ikura and cream sauce dominating. The baby squid is delicious too, and the Korean gojuchang sauce not as spicy as I expect because of the miso blended in it. The raw seafood is of excellent quality, which is not surprising considering that mine is the first meal the restaurant is serving. The squid is really sweet, which is usually not the case. So as not to overpower the delicate sweetness, I enjoy it with just a touch of Himalayan salt instead of wasabi and soya sauce. 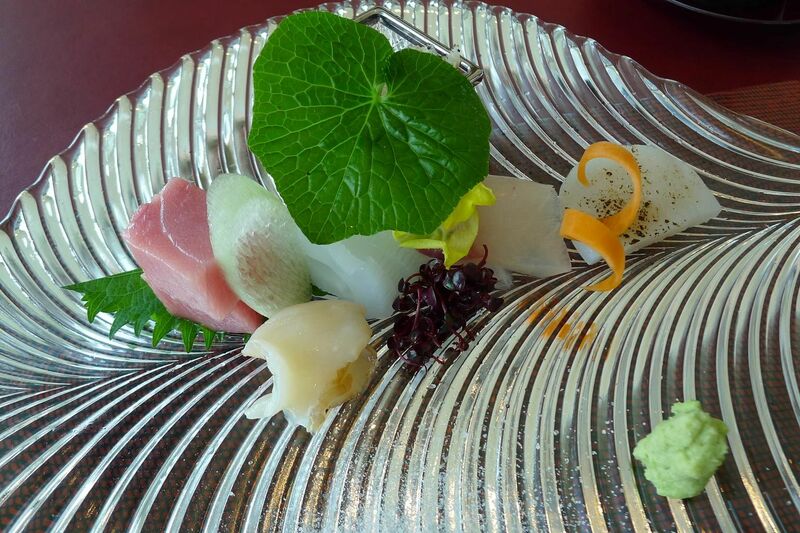 The scallop carpaccio is hidden behind a fresh wasabi leaf, which can be eaten too. The stem tastes like grated wasabi, but the spicy leaf is even sharper. The thin slices of beef are cooked briefly in a sweet sauce that reminds me of sukiyaki, except that it is not as sweet. They are served on a bed of mixed vegetables such as mizuna and cabbage in the same sauce, which provide a clean and crisp foil to the fatty beef. There are seven types of nigiri and rolled sushi, including botan ebi topped with truffle, ark shell and sea urchin - and each is exquisite. Not as good as what I've eaten at Shinji by Kanesaka but certainly better than what you can get for the same price in Singapore. The chutoro nigiri sushi is a standout. 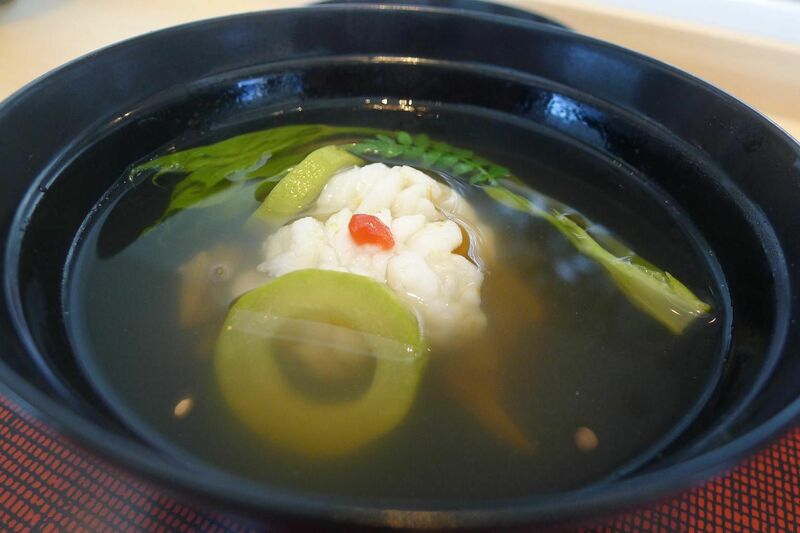 The soup - made with a clear, umami-laden dashi - is delicious and comforting. The eel is cooked perfectly, but the uni inside is cooked and firm. I am partial to raw, creamy sea urchin, so that doesn't work for me. 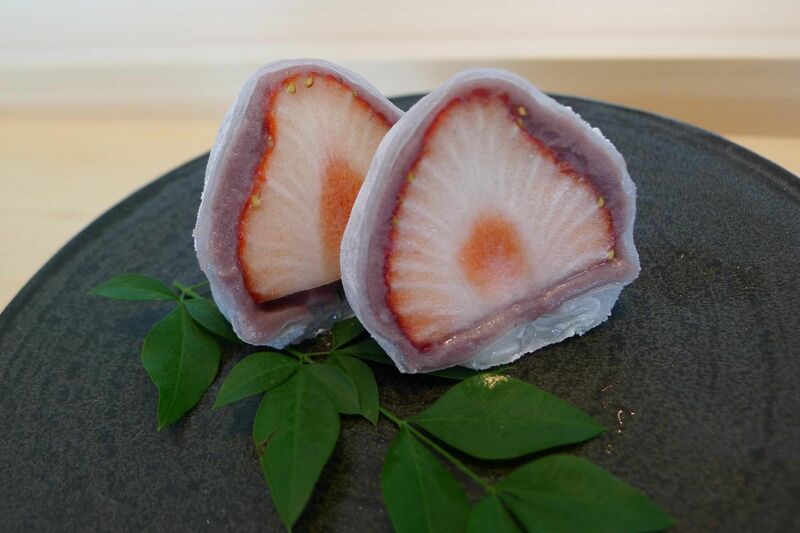 This not only looks really lovely, but the combination of the juicy strawberry covered in thin layers of red bean paste and cream cheese under a mochi skin is also amazing. Pop the whole thing in your mouth for the full effect.